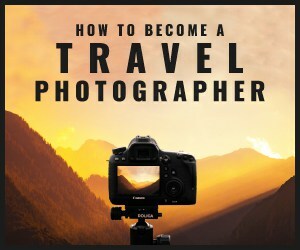 Social Media has created a never-ending stream of inspiration and possibilities to showcase your work as an aspiring or professional travel photographer. Sharing your photos on social media is a fantastic way to increase the number of people who see your work. With the touch of a finger, you can put an image in front of millions of spectators. Social Media will help you in many ways. Once you’ll start being focused on social, showing some effort and sharing your talent with the world, the advantages and customers will come. You’ll see for yourself what a bit of engagement can do. The type of photos you show on social media define the sort of photography business you are into. Without looking at Facebook or Instagram or thinking of your favourite photographers pictures, take a moment to think about what it is that first attracted YOU to travel photography? Were you inspired by exploring different cultures, nature or the architecture of Vietnamese temples? Knowing what it is that you enjoy about travel photography will help you to hone a style and will go towards creating a body of work that looks like yours. For all the genres of photography that you do to make a living, you should have a small collection of your best shots. These are the shots that will be the face of your business, the shots that potential customers will see when they visit your social media channel. It is always recommended to update your collections once you have better photos to replace the older ones. You’ll naturally choose images to share that you personally enjoy so get started by deciding what that is and how you can capture more of the same images in order to develop your own style. If you get stuck, browse back through your old images and look for any repetition. Or remember what it was that you couldn’t stop photographing on your last trip. Many professional travel photographers started their professional career with a simple business page on Facebook. Then they added an Instagram account, followed by more elsewhere. However, the trick is to find the platforms that work best for you and devote a little more energy there. Many travel photographers at PRO level build their online-business via backlinks on Pinterest. Travel is one of the highest ranking topics there. Unlike Facebook and Instagram, Pinterest doesn’t artificially limit your reach. Your posts will be preserved, and all users will be able to see them for years to come. One last tip for Pinterest: Vertical photos always do way better than horizontal ones. Instagram is the fastest growing social media platform around and for travel photographers it is visually inspiring and encouraging. A lot of people who follow you will keep seeing your work. Instagram is solely focused on what we as travel photographers love most: amazing pictures from all over the world! Having a space to share your work and engage with your followers is a great way to build confidence in your photography and compile a virtual gallery which you can use as a virtual business card. A lot of non-photographers, who you probably state as potential customers, will see your work here. If you want to keep fans, other photographers or potential customers closer to you, you can create a group on Facebook or join an existing group where your target audience hangs out. Steller is like creating your own mini magazine. The process is super simple and the page designs work beautifully with images from your phone´s library. Steller has an engaging community of creatives and your stories can be shared in other collections throughout the app. The platform itself regularly features stories to it´s large audience which can be a big boost for your travel photography business. I didn’t expect very much when I signed up for YouPic. But I’ve been really suprised at the interaction on the site. Having posted just a few images they have already been viewed more than 260,000 times! YouPic is a little Flickr. People can share images, comment or take part in themed contests. Once you create a profile you can also work towards various award levels and achievements. On Trover you can post a photo and share the location with other users so when they visit it´s easy to find. The site is bright, very social and easy to use if you want to quickly upload pictures on the road. Have you ever clicked on someone’s account, quickly looked at their gallery and decided immediately whether or not you want to follow them? I’m guessing the answer is Yes. The main thing helping others to form their decision is visual consistency. You want someone to look at your social media account and know exactly what it is that you specialise in and what they’ll likely see if they click that golden follow button. Don’t post a random food photo if shooting mountains or people is your bread and butter. Creating consistency is something you need to focus on if you want a beautiful curated and professional managed social media account. One of the biggest opportunities social media platforms offer is the ability to communicate with your audience. Talking with your followers will help you build a community around your work, which will expose your photography to an even wider audience. Additionally, an enthusiastic community will play a major role in the success of your commercial endeavors, especially if it’s something that can be enjoyed worldwide such as selling your photos online. A great way to drive traffic to your website from social media platforms is creating a photography blog and using snippets from your posts as captions for your images. Ideally, every single person who sees your work on social media channels should end up on your website. More visitors, especially those who are already interested in your work, will lead to more traffic, better SEO results and, ultimately, actual clients. This is why it is so important to link all of your social accounts to your portfolio. Using the same name, address, and phone number across all your social media channels will help you in two main ways: ensure that your customers can easily reach you and improve your local SEO. Doing so can help you get a better ranking on search engines, which will likely result in more web visitors and potential customers. See yourself as a brand, rather than just an artist. Contrary to popular belief, social media is not just about ‘me, me, me’. With so many talented travel photographers sharing their work on these platforms, it would be a shame not to learn from them. Dedicate time to see what other people are doing, discover new techniques and locations, talk to them to understand their work process and read up about their experiences; absorb as much knowledge and skills as you can.